برای خرید ایبوک مهندسی‌ ترافیک‌ مک شین ویرایش 5 سال 2019 به زبان انگلیسی و با عنوان Traffic Engineering, 5th Edition که در آرشیو گیگاپیپر موجود است، با ما مکاتبه کنید. نویسندگان کتاب ویلیام مک‌شین، النا اس. پراسس Roess, Prassas & McShane است. 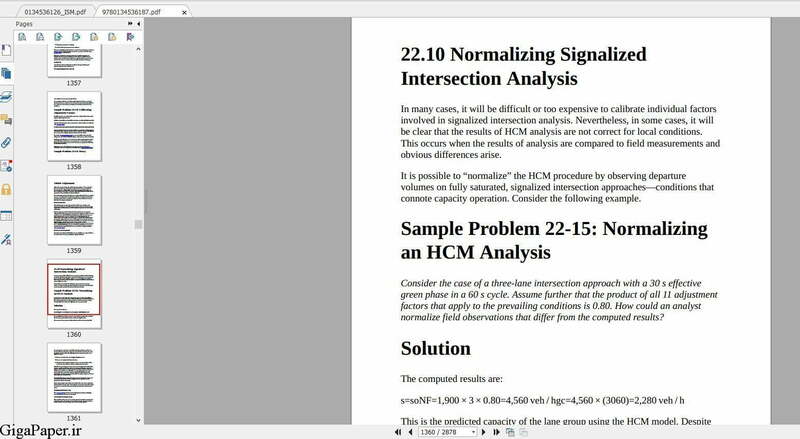 همچنین ایبوک حل المسائل با عنوان Instructor’s Solutions Manual for Traffic Engineering, 5th Edition با هزینه جداگانه قابل ارسال است. 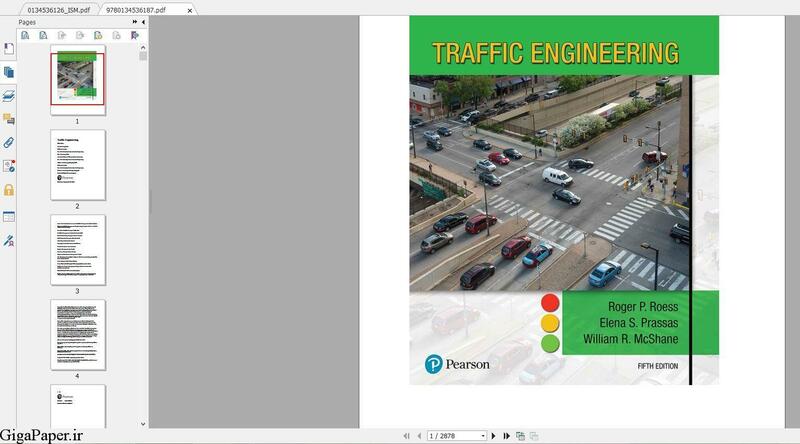 فایل های پاورپوینت این کتاب با عنوان PowerPoint Presentation for Traffic Engineering, 5th Edition هم موجود است. This is the eBook of the printed book and may not include any media, website access codes, or print supplements that may come packaged with the bound book. For courses in traffic engineering. 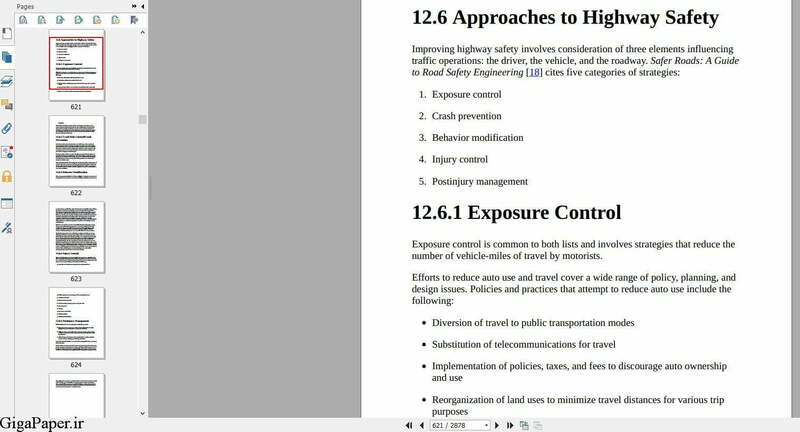 Focuses on the key skills and understanding required for careers in traffic engineering Traffic Engineering , 5th Edition focuses on the key engineering skills required to practice traffic engineering. It presents both fundamental theory and a broad range of its applications to solve modern problems and gives readers an understanding of and appreciation for planning, design, management, construction, operation, control, and system optimization. The 5th Edition includes the latest in industry standards and criteria, new material and updates to existing material, and new homework problems. 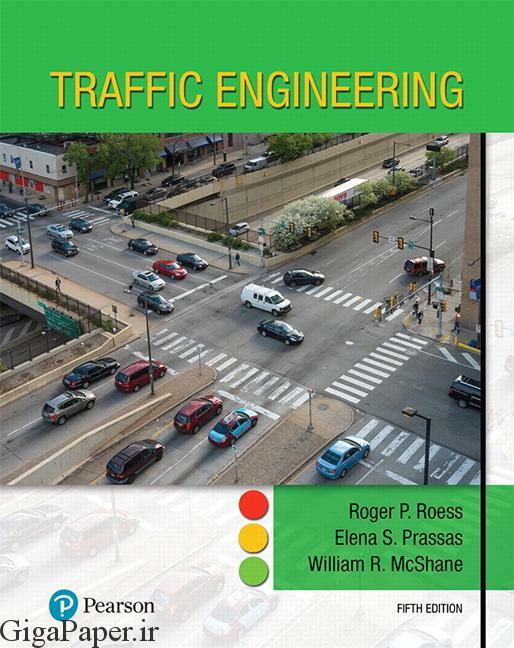 Traffic Engineering 5th Edition by Roger P. Roess; Elena S. Prassas; William R. McShane and Publisher Pearson. by choosing the eTextbook option for ISBN: 9780134536187, 0134536185. The print version of this textbook is ISBN: 9780134599717, 0134599713. جهت اطمینان از کیفیت کتاب Traffic Engineering, 5th Edition چند صفحه از ان بصورت رایگان آورده شده است. توجه شود که این جدیدترین نسخه کتاب، یعنی نسخه 5 ام می باشد.مؤلفان: ویلیام مک‌شین، النا اس. پراسس است. 13.2.1 Proximity: How Far Will Parkers Walk? 1.7 متر در مقابل واحدهای U.S.